Unchained: While much of the unchained rogue will be familiar to those who have played the original rogue, there are a number of new class features that greatly enhance the power and flexibility of the rogue. Chief among these is the debilitating injury class feature. A rogue with this ability can severely hamper her foes, giving her a much-needed boost to her offense or defense, depending on the situation. In addition, with finesse training, the rogue now gains Weapon Finesse for free at 1st level. This ability also lets her add her Dexterity to damage rolls with one weapon starting at 3rd level. Finally, the rogue's edge ability ties into a new system called skill unlocks. With this feature, the unchained rogue can master a small set of chosen skills, outperforming all those characters without access to such talents. Precision damage (such as that dealt by a rogue's sneak attack ability) applies to more creatures than it did in previous editions of the game. Some may balk at this but it can easily be imagined or explained as the rogue having found a weak point in the undead's "body" (such as a zombie's head) or even finding a crack or flaw in a construct's "body." The rogue's attack deals extra damage anytime her target would be denied a Dexterity bonus to AC (whether the target actually has a Dexterity bonus or not), or when the rogue flanks her target. This extra damage is 1d6 at 1st level, and increases by 1d6 every 2 rogue levels thereafter. Ranged attacks can count as sneak attacks only if the target is within 30 feet. This additional damage is precision damage and is not multiplied on a critical hit. Talents marked with an asterisk add effects to a rogue's sneak attack. Only one of these talents can be applied to an individual attack, and the decision must be made before the attack roll is made. Hampered: All of the target's speeds are reduced by half (to a minimum of 5 feet). In addition, the target cannot take a 5-foot step. At 5th level, a rogue has mastered a single skill beyond that skill's normal boundaries, gaining results that others can only dream about. She gains the skill unlock powers for that skill as appropriate for her number of ranks in that skill. At 10th, 15th, and 20th levels, she chooses an additional skill and gains skill unlock powers for that skill as well. At 20th level, an rogue becomes incredibly deadly when dealing sneak attack damage. 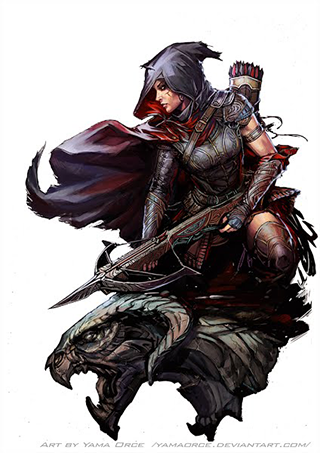 Each time the rogue deals sneak attack damage, she can choose one of the following three effects: the target can be put to sleep for 1d4 hours, paralyzed for 2d6 rounds, or slain. Regardless of the effect chosen, the target can attempt a Fortitude save to negate the additional effect. The DC of this save is equal to 10 + 1/2 the rogue's level + the rogue's Dexterity modifier. Once a creature has been the target of a master strike, regardless of whether or not the save is successful, that creature is immune to that rogue's master strike for 24 hours. Creatures that are immune to sneak attack damage are also immune to this ability. Advanced Rogue Talents: Another day, confounding blades*, deadly cocktail, familiar, fast tumble, frugal trapsmith, getaway master, hide in plain sight, hunter's surprise, knock-out blow, redirect attack, rumormonger, stealthy sniper, unwitting ally, weapon snatcher. By their nature, unchained rogues are varied and versatile. There are rogues who haunt the city, those who stalk the forest, and those who serve as agents of law. Wherever there is space for someone to make her mark with agility and wit, the rogue is there, using her wide range of skills and abilities to make a place for herself, whether openly or through cunning and subterfuge. And where a rogue's natural cunning and quick thinking aren't enough to win the day, well—there's always the option of a knife in the back. Note: Most of the the core rogue's existing archetypes will also work with the unchained rogue.